Netherlands: "Geothermal is the best and most sustainable solution to the energy needs of the greenhouses"
A consortium of nine glasshouse growers covering 49ha in the Vierpolders area near Rotterdam in the Netherlands has begun making shared use of geothermal energy. Geothermal Vierpolders director Paul Grootscholten said: "It remains to be seen how high the efficiency of the source actually is, but we are convinced that it is the best and most sustainable solution to the energy needs of the greenhouses." Grootscholten, who is also a partner at family-owned glasshouse salad plant supplier Globe Plant, one of the nine growers using the heat, added: "Now we use geothermal energy we burn 90 per cent less natural gas and emit 20 per cent less CO2." The area's geology makes it well suited to geothermal. At 2,200 m there is a porous sand layer with water of about 85 degs C that can be relatively easily pumped up then returned back to the soil when cool. Eight years in development, the scheme has been subsidized by the EU, national government and agencies. "Like many new technologies, geothermal energy is also at this early stage not quite competitive with traditional sources of energy," the project's website explains. "But the prospects are promising and the social interest is large." Globe Plant will be among several glasshouses opening their doors to the public this weekend (2 April) as part of the industry's ongoing Kom in de Kas (Come into the Glasshouse) program. The procurement phase of the Sh40 billion Olkaria V geothermal power plant project is complete Japan Deputy Ambassador Mikio Mori confirmed, saying construction of the 140 megawatt plant will begin this year as scheduled. “Bids have been sent to three applicants who were successful in the request for proposal stage. We expect construction works on the power plant to start in five months,” said Mori. He, however, did not disclose the three applicants. Three 14 MW wells have been sunk for testing before the winning bidder is given the go-ahead for construction. “We expect the actual ground-breaking for Olkaria V to be done before the upcoming Tokyo International Conference on African Development (Ticad VI) later in August, which will also give Kenya a chance to put forward its needs and aspirations in the energy sector for possible financing,” said Mori. Chena Power and Chena Hot Springs Resort are teaming up to bring the 11th Annual Renewable Energy Fair. Come join us for a wonderful day with exciting speakers talking about all things renewable!! GRC member Bernie Karl is founder of the energy fair and co-owner of the resort with his wife, Connie. The theme for this year is "Thinking Green and Keeping It Clean." Chena Hot Springs' mission as a company is to reduce the waste humans produce and find constructive ways to use the waste for the betterment of the eco-system. We are pleased to announce that our keynote speaker is Doug Eichelberger of Eichelberger Architects from Colorado. He has designed structures such as barns and homes with high R-values using bailed plastic, cardboard and paper. He will be discussing how he discovered this and how it can help us achieve sustainable net-zero landfill objectives. This year we will also showcase our ideas for converting waste into useable products such as: plastic bails for road stabilization, plastic to oil conversion, paper-crete bricks, paper fuel pellets, eco-bricks, and gas from a methane digester to convert the energy stored in organic matter into gas for cooking and drying clothes. There are many ways Chena Hot Springs is already sustainable. The greenhouses grow year-round crops, and the chickens furnish our eggs for the restaurant. We also use geothermal energy for heating all the buildings and for producing the power for the Resort. We use new techniques for crop growing which include using crushed glass with bio-char, grow lights set up like a wall with rolling capability, and cardboard and paper for growing mushrooms. The Renewable Energy Fair is designed to educate the public on issues of renewable energy and sustainability. It will demonstrate a multitude of energy solutions taking shape at the Resort and around the State. 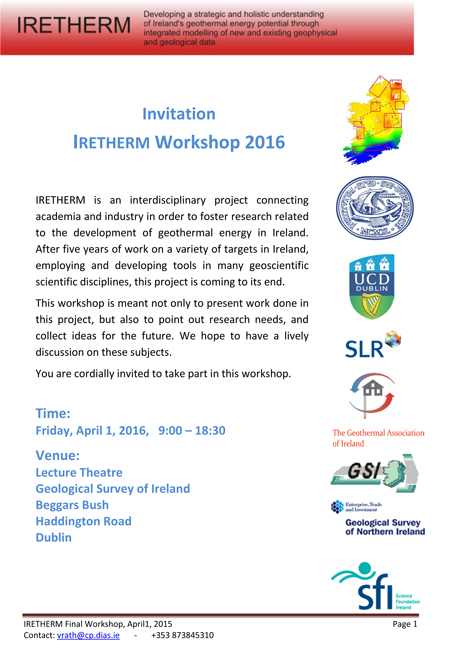 After 5 years of research activity in the areas of geothermal mapping in Northern and Southern Ireland, the IRETHERM team invites you to a workshop to review the findings and discuss future research pathways. USA: Geothermal Ladies. We Salute You! The Energy Department’s Geothermal Technologies Office (GTO) is fortunate to have many talented and dedicated thought leaders on staff. These individuals are experts in their field and strive every day to advance geothermal as an economically competitive source of renewable energy. We appreciate the efforts of all GTO staff, but in honor of Women’s History Month, EERE would like to celebrate the leadership and technical contributions provided by GTO’s female employees. "Discovering Utah's Geothermal Potential" goes deep below the earth's surface to uncover a clean, reliable and sustainable base-load source of power. At 80 megawatts, Utah is currently third in the nation for geothermal energy production, but stands ready to realize more than 2,000 megawatts of untapped potential - that’s enough to power a third of Utah. This film offers a past, present and future look at Utah's abundant resource, featuring the Homestead Crater, Cove Fort and Blundell geothermal power plants, Utah Geological Survey and the University of Utah's Energy & Geoscience Institute. 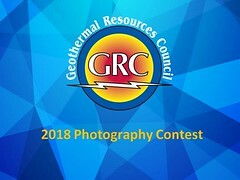 The Geothermal Resources Council (GRC) has made available the latest GRC Bulletin, a voice of the global geothermal energy industry, published continuously since 1972. The Bulletin is free with GRC Membership or subscribe (PDF) to six issues a year for $90 in the USA or $140 worldwide. The GRC has generously provided 8 pages from the latest issue for free. However, the full issue is 44 pages! 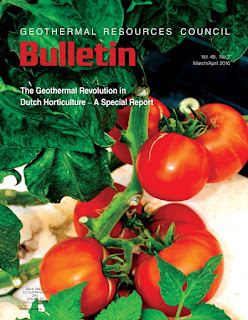 In this issue, there is a special report on the geothermal revolution in Dutch horticulture where heat from deep underground is helping to boost vegetable production, updates on the 40th GRC Annual Meeting & GEA Geothermal Energy Expo and 14 pages of geothermal news from around the world. Join the GRC or subscribe to get the complete issue. Geothermal energy is an important natural and renewable resource. This Special Paper is a compilation of current and timely investigations of the complementary tracks of geothermal energy-low-temperature ground-source geothermal and high-temperature hydrothermal systems. Included among these contributions are studies on the feasibility and viability of integrating geological modeling with system design, unconventional extraction of low-temperature geothermal energy in underground coal mines, district-wide ground-source heat pump systems, models that couple heat transfer with groundwater flow and/or stratigraphy, and enhanced geothermal systems. This volume will be of distinct interest to the geologic community, civil engineers, urban planners, and those interested in environmental sustainability. GRC Member company Ormat Technologies, Inc. announced today its subsidiary has signed an agreement with a subsidiary of Alevo Group SA to jointly build, own and operate the Rabbit Hill Energy Storage Project, located in Georgetown, Texas. The 10 MW project will consist of three GridBank™ enclosures. Ormat will own and fund the majority of the Rabbit Hill energy storage project and provide engineering, construction services and balance of plant equipment. Alevo will provide its innovative GridBank inorganic lithium ion energy storage system in conjunction with the power conversion systems. "Entering the energy storage market is a key component of our long term growth plan, helping us to further diversify revenues and advancing our goals of transitioning from a geothermal company to a recognized leader in the renewable energy industry," commented Isaac Angel, Chief Executive Officer of Ormat. Ormat will be exhibiting at the 40th GRC Annual Meeting & GEA Geothermal Energy Expo will be held October 23-26 in Sacramento, California, USA. Geothermal plants now dot the northern Nevada landscape, but none like one sitting in a remote corner of Lahontan Valley. In fact, there is no other like it in the world. Built between the farms and the marshes at Stillwater east of Fallon, the plant has tapped into the earth's heat below since 2009, driving turbines that generate electricity. In 2012, more than a hundred acres of solar panels were added, turning the sun's rays directly into electricity. The two sources of energy compliment each other, one picking up power when the other is less efficient. In the midst of controversy over B.C.’s Peace River Site C dam project, the Canadian Geothermal Energy Association (CanGEA) released a study showing the province could get the same amount of energy more affordably from geothermal sources for about half the construction costs. Unlike Site C, geothermal wouldn’t require massive transmission upgrades, would be less environmentally disruptive, and would create more jobs throughout the province rather than just in one area. USA, California: GRC Member in the Spotlight! U.S. Geothermal Inc. has announced that it has formally concluded the previously announced evaluation of strategic alternatives. John Walker, Chairman of the Special Committee of the Board of Directors stated "Together with Marathon Capital, we did a detailed and thorough examination of the strategic alternatives. After careful consideration of a number of alternatives, we determined that our best course of action is to focus on the company’s plans to expand its existing operating projects, advance its development projects, and pursue certain acquisition opportunities. As a result, we have concluded that it is in the best long-term interests of the company’s stockholders to end the review process now." Plans are moving forward to expand production from the Raft River resource by drilling additional production capacity that may increase generation by up to 3 MWs, and to increase the output of the Neal Hot Springs Project by 3 MW’s with the addition of a hybrid wet/dry cooling system. The company also has four advanced development projects totaling 90 MW’s of planned generation. This includes; the WGP Geysers in northern California, San Emidio II near Reno, NV, El Ceibillo in Guatemala, and Crescent Valley, NV. Additionally the company also owns a portfolio of early stage development projects, and is currently evaluating a number of strategic acquisitions. In recent months, the company acquired 3 new, uninstalled binary power plants, increased its ownership position in the Raft River project to 95%, and received approval for the transmission-interconnection agreement from the California Independent System Operator for its WGP Geysers power project. Basic Energy Corp. and Trans-Asia Oil and Energy Development Corp. have signed a contract with Diamond Drilling Corp. to drill the Mabini geothermal prospect in Batangas province. Basic Energy said in a statement its joint venture with Trans-Asia approved a drilling program to spud an exploratory well in the geothermal prospect in Mabini, Batangas. The companies said they submitted a notice of intent to drill to the Energy Department. Diamond Drilling will provide services for the drilling and coring of an exploratory hole with a minimum depth of 1,500 meters. The drilling is set to be completed within 90 days. Located in the Calumpan Peninsula, the Mabini geothermal sevice contract no. 8 covers 3,841 hectares. The area based on the pre-feasibility study is expected to yield a power capacity of between 20 megawatts and 60 MW. Italian Prime Minister Matteo Renzi, Enel CEO Francesco Starace, Enel Green Power CEO Francesco Venturini and Nevada Governor Brian Sandoval, today attended the inauguration of Enel Green Power’s Stillwater renewable hybrid facility in Fallon, Nevada. Stillwater is the world’s first power plant to combine medium enthalpy, binary cycle geothermal, solar thermal and solar photovoltaic technologies at the same site. The event was also attended by the Director of the National Renewable Energy Laboratory (NREL) Dr. Martin Keller, U.S. Senator Dean Heller, U.S. Representative Mark Amodei and other U.S. national, state and local dignitaries. Performed by DMT GbmH & Co. KG, one of the largest ever inner-city 3D surveys came to a successful end last week. The Essen based technology service provider, contracted by Stadtwerke München Services GmbH (Munich's municipal utilities company), had spent four months exploring deep underground in southern Munich by means of vibroseismic methods. Stadtwerke München (SWM) aims to switch all of its power to renewable energy by the year 2040. A prerequisite for this is, of course, finding suitable locations for new geothermal plants. Hence, SWM commissioned DMT to explore an area of approximately 170 square kilometers in a 3D seismic survey, which started in early November 2015. Disillusioned Queensland property developer Rod Colwell is trying his luck on a billion-dollar geothermal energy project on an inland sea in California where legendary investor Warren Buffett's Berkshire Hathaway owns a share in a string of generators. GRC Member Mr Colwell aims to capitalize on California's aggressive renewable energy targets and falling costs for geothermal plant and drilling rigs left idle by the collapse of the shale boom to overcome challenging economics and make a go of the proposed 250 megawatt Hell's Kitchen project. A company backed by Mr Colwell, a former Excel Development Group general manager and Insight Group director, has secured a lease over 770 hectares of the Salton Sea, southeast of Los Angeles, and wants to build the geothermal power station on its southern shores. The company, Controlled Thermal Resources, needs to secure planning approvals from the California Energy Commission, a power purchase agreement from a utility and funding for a project that will cost $US800 million-$US900 million (about $1 billion-$1.2 billion) to reach full capacity. The U.S. Geological Survey (USGS) published its first-ever maps showing potential ground-shaking hazards from human-induced and natural earthquakes Monday. Previously, USGS maps only showed natural earthquake hazards. But concerns over potential damage from induced earthquakes prompted USGS to update its 2014 hazards map to show induced and natural earthquake risks in the central and eastern U.S. (CEUS). The new supplement to the 2014 hazard map shows a one-year outlook for nature’s hazards, whereas the 2014 map uses a 50-year timeline. While there are some areas of induced earthquakes in the western U.S., they don’t significantly change the regional hazard level compared to the much more abundant natural earthquakes. Therefore scientists just considered the historical catalog in the western U.S. and did not separate natural from induced earthquakes. Future research could take a more detailed look at induced seismicity in the west, including in California at The Geysers, Brawley or the Los Angeles Basin. Italian Prime Minister Matteo Renzi is in northern Nevada to attend the formal dedication of the only geothermal power plant in the world that combines geothermal energy with two kinds of solar technology. The prime minister plans to join Gov. Brian Sandoval, Sen. Dean Heller and others at the ceremony Tuesday at the Stillwater Geothermal Plant that Enel Green Power North America Inc. built about 75 miles east of Reno. Italy was the site of the first geothermal experiment a century ago that established the potential to harness renewable energy produced by the steam from hot water beneath the ground. The Nevada plant is the first to utilize both solar thermal and solar panel-generated energy to supplement the geothermal power in a way that maximizes the efficiency of all three. This meeting will feature presentations and updates on pressing geothermal energy issues, plus tours of direct use facilities in Lakeview and the geothermal power plant in Paisley, Oregon. Coffee and lunch will be provided. Please RSVP by Friday, April 1st to Rob Del Mar at robert.delamr@state.or.us. The Geysers Geothermal Association (GGA), a non-profit trade association which is comprised of the various companies that constitute the geothermal industry in Lake, Sonoma and Mendocino Counties, is pleased to announce the availability of the Fred Haley Memorial Scholarship. There will be one (1) scholarship awarded to a high school senior whose has relatives that are directly involved and spend a majority of their working time in Geysers Geothermal field. The scholarship will be for $5,000. The scholarship program is one of the ways the GGA endeavors to be of service to the geothermal community. Selection of recipients will be based upon the student's academic record, student activities, citizenship and an evaluation of the renewable energy related essay question. Current transcript through seven semesters of high school. List of student activities including offices held . List and brief description of all extracurricular and/or community activities. Statement of verification by the applicant's school counselor. One-page statement (essay) by the applicant about their future goals. Brief statement by the applicant's relative describing their work relationship to The Geysers Geothermal Field. One-page essay answering the following question. " If you could change your community or society in a positive way, what changes would you make and why?" Applications must be postmarked by May 15, 2016. Successful recipients will be notified by June 10, 2016. After a popular geothermal workshop in Valemount last month, a number of Valemount residents are looking seriously into what can be done to develop geothermal opportunities. Two residents, both mothers of young families and business owners, made a delegation to Valemount Council on Feb. 23rd, to try to keep the momentum going. 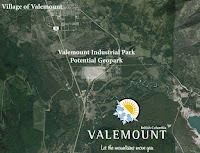 Rundi Anderson and Christine Pelletier say they see potential at Valemount Community Forest’s new industrial park in Cedarside to build a geothermal plant and attract businesses that can make use of inexpensive heat, but also feed off the waste of the other businesses in the park. As an example, Anderson says her brewery’s expansion could keep down costs of heating water and lower their carbon footprint. Their waste heat, carbon dioxide and compost grain could be used by greenhouses. Pelletier, whose family currently runs two small greenhouses, could use geothermal heat to grow food year-round, expanding their crops to fruits and vegetables that normally have to be imported to the Robson Valley. An English manufacturer of a range of power generation equipment including turbogenerators and switchgear is helping unlock reserves of energy at a remote South American geothermal facility. Brush, based in Loughborough, England is supplying two specially-modified, 27.6 MW, four-pole, 1500 r/min generators to the site with a rated voltage of 9500 V and a power output of 32,471 kVA. The generators are powered by 15 MW turbines and have been designed to withstand the challenges presented by extracting geothermal energy in high altitude conditions. Located on an Andean plateau 4500 m above sea level in the north of Chile at Cerro Pabellón, the first geothermal plant in South America is under construction following a US$320 million investment, financed through resources provided by Enel Green Power. Cerro Pabellón is thought to be the first binary geothermal plant in the world to be built at such a high altitude. It is due to be completed in 2017. Regions of geothermal activity are rich in toxic natural gases. Brush said its generators are suitable for these corrosive environments and adapted to be extra protected against hydrogen sulphide (H2S) and sulphur dioxides (SO2), which pose a substantial operational hazard. Living in a geologically active area can have its perks (like natural hot springs) and its drawbacks (like the occasional earthquake or volcanic eruption). It can also mean access to clean, sustainable geothermal energy. At least in theory. Minister of Public Infrastructure, the Hon Ian Liburd said early examinations of St. Kitts’s capacity for geothermal energy production have proved promising. “The preliminary scientific studies…we had our geophysicists, geochemists and geologists already here on St. Kitts. And I can report that the geo-scientists are currently meeting in Paris to decide the logistics for the next steps. And the indications are that the preliminary results are positive,” he said. Giving a timeline of the upcoming steps Minister Liburd said the geophysical field survey will begin at the end of March and will run until May. A pipe stretching nearly 1.2 miles into the ground could deliver heating from the earth to the new Aberdeen Exhibition and Conference Centre (AECC) and nearby homes, a report has found. A feasibility study revealed that a deep geothermal well would cost around £2.3 million to build and would save 22,170 tonnes of carbon emissions over its lifetime. The project – if it goes ahead – would use the skills of the region’s oil and gas industry to deliver and could become a major attraction at the AECC showcasing the benefits of deep geothermal energy. Aberdeen City Council has said it is “willing to support” a bid to fund the scheme through the Scottish Government’s Geothermal Energy Challenge Fund, which funded the feasibility study. The report, undertaken by a London-based consultancy Geothermal Engineering, the University of St Andrews and engineers Ove Arup, has proposed a “deep geothermal single well” (DGSW) system for the Rowett site. Iain Stewart, professor of geoscience communication at Plymouth University and author of the report, said the AECC was “the best site in Scotland” for the project. “It is considered that this unique ‘two-for-one’ demonstrator opportunity at the AECC will be the perfect opportunity to showcase deep geothermal to the local oil and gas industry – highlighting crossover and supply chain opportunities – and also educate the public, school children and university researchers on the potential for deep subsurface projects. “In that context, it is considered to be the best site in Scotland for the development of a ‘deep geothermal exhibition’ aimed at improving the public’s visibility of the subsurface. Geothermal resources and enhanced geothermal systems (EGS) are often associated with unique operational challenges due to extreme temperatures, pressures and complex geology. How does Paradigm optimize resource development in geothermal plays, from simple to complex? By integrating all geothermal resource information within a unified 3D reservoir modeling environment, we improve understanding of the relationships between water injection/steam production, induced seismicity, and fracture systems. This leads to an ultimate understanding of fluid flow paths for long-term, sustainable reservoir management. Paradigm’s integrated approach helps discover geoscience, drilling and reservoir engineering correlations critical for assessing and developing geothermal plays, and creates a centralized location for both data and interpretations. Pakistan is found to have been blessed with the potential of huge geothermal energy resources that could generate 100,000MW electricity at the cost of 5-10 cents per unit depending upon different locations of the power plants, reveals the research of Pakistani scientist Javed Ahmad that has been published in the US. Research and Markets has announced the addition of the "Global Markets for Geothermal Energy" report to their offering. This report provides an up-to-date analysis of recent developments and current trends in the global geothermal energy market. Energy generation forecasts from 2015 through 2020 are given for each major type of the geothermal energy market, with their technologies and regional market. USTDA contracts with U.S. companies to evaluate and advise the agency on the funding proposals it receives. USTDA also contracts with numerous other U.S. firms for required products and services. This is a combined synopsis/solicitation for commercial item prepared in accordance with the format in Federal Acquisition Regulation (FAR) Subpart 12.6 and procedures in Subpart 13.1 as supplemented with additional information included in this notice. This announcement constitutes the only Request for Quote (RFQ); quotations are being requested and written solicitation will not be issued. Because geothermal energy uses renewable energy produced within the Earth, it involves no fossil fuel combustion, emits minimal CO2 into the atmosphere, and is sustainable as an inexhaustible resource. BCC Research reveals in its new report that the growing demand for electricity, increasing installations of power plant and transmission lines, and a geothermal potential of 8.9 GW for electricity generation should drive the overall demand and installations for geothermal power plants. Geothermal energy is generated from within the Earth. The various sources of geothermal energy include radioactive decay occurring in the Earth's crust, extremely high-temperature magma, shallow grounds and hot rocks and hot water found beneath our planet's surface. The three main applications of geothermal energy include direct usage, geothermal heat pumps and electricity generation. In power generation, the three types of power plants are dry steam plants, flash steam plants and binary cycle power plants. Drilling has commenced at the Geothermie-Projekt Groß-Gerau in Trebur, a community in Groß-Gerau district in Hessen, near Frankfurt in Germany. The planned depth is 3,500 to 4,000 meters to an expected water temperature of 160 degrees Celsius. The power plant will deliver 3 MWe of electrical power and 6 MWth of thermal power (feeding into district heating network for the supply of industrial enterprises and residential areas). It is expected to reduce CO2 emissions by 27 000 tonnes / year. The investment amounts to 40 to 50 million euros. Geothermal energy could be about to play a much larger role in heating the heavily-polluted cities clustered in northern China that have traditionally been major consumers of coal and massive victims of winter smog, an industry insider said. "We need to fully utilize geothermal energy, a renewable clean energy buried underground, to replace coal as winter heating fuel," said Huang Gang, head of Huabei Oilfield Co, which is headquartered in Cangzhou, Hebei province. "It could alleviate the severe smog in the Beijing-Tianjin-Hebei region." "Geothermal resources discovered during the process of extracting oil have been utilized to generate electricity and they have worked well during the past four years," said Huang, who added that his company had invested 100 million yuan ($15.4 million) on exploiting buried geothermal resources. The survey said geothermal resources are rich in the Beijing-Tianjin-Hebei area and could contribute 87 percent of regional energy consumption. It’s an age old tradition. From Japan to Iceland to the dusty back-country of the American west, people have been soaking up the geothermal magic provided by wild hot springs since time immemorial. Interested in taking the ancestral dip? These wild hot springs will be at your service, au natural. Science & Technology: Are Geysers Powered by CO2? Old Faithful Geyser in Yellowstone National Park, Wyoming, USA. GRC Field Trip 2015. Taken by Ian Crawford. Researchers looking at geyser discharge water in Yellowstone National Park found that dissolved carbon dioxide could be involved in a geyser's eruption. The current perception of geysers—that their explosions are driven by hot water and steam—may not be exactly right. In a new paper published online on 7 March in Geology, researchers found that higher carbon dioxide (CO2) concentrations in geyser water preceded eruptions—leading them to suggest that CO2 is an important ingredient in triggering eruptions. 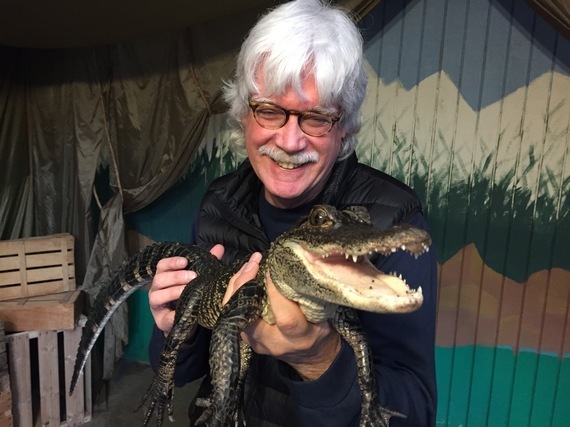 Literally just down the road in the town of Hooper are the biggest alligators in the West, along with a collection of rattlesnakes, pythons, snapping turtles, and, oh, about 350,000 Tilapia fish. Welcome to the Colorado Gators Reptile Park, one of the state’s craziest and most fun roadside attractions. It started in 1974 when Erwin and Lynne Young decided to use the valley’s geothermal waters (the water stays at a constant 87 degrees Fahrenheit) to farm Tilapia, a tasty perch fish that needs warm waters. Fish in fish farms die pretty regularly, and to deal with all the dead fish, they imported 100 baby alligators in 1987. Whether it’s utility executives or state regulators who are to blame, renewable energy projects often take years to come to fruition in Hawaii, something that’s deterring investors and hampering efforts to stop producing electricity from oil and coal. That was the sentiment Thursday from experts on a panel at the Maui Energy Conference. They cited times when the Public Utilities Commission and Hawaiian Electric companies have delayed progress in reaching the state’s 100 percent renewable energy goal by 2045. Murray Clay, managing partner at Ulupono Initiative, a sustainability-focused investment firm, highlighted four projects that have been “pushed off the bridge” including 25 megawatts of geothermal from Ormat/PGV. 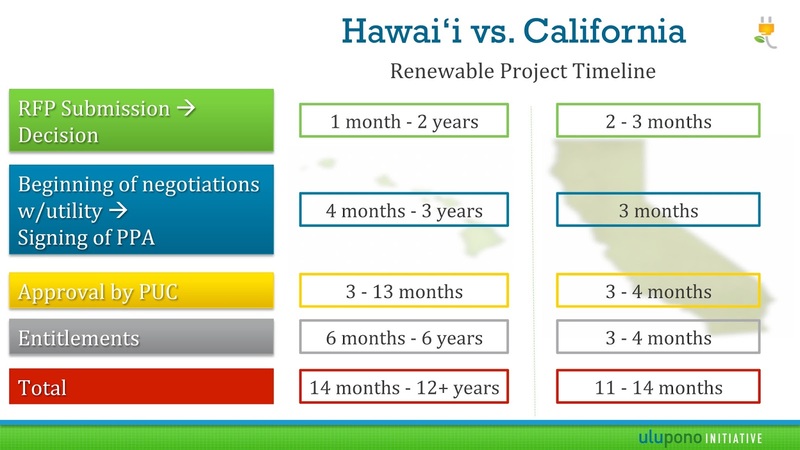 During his panel discussion, Clay compared Hawaii to California in terms of how rapidly projects are approved. 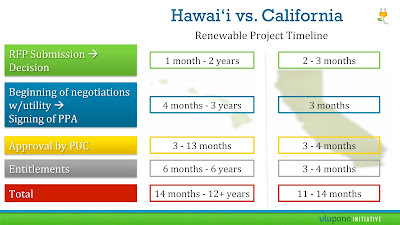 When factoring in requests for proposals, negotiations with the utility, approval by regulators and entitlements, Clay said a renewable energy project in Hawaii can take 14 months to more than 12 years. California, by his estimation, takes 11 to 14 months. Kenya will set up investors near geothermal plants to cut the cost of electricity and offer subsidies in order to compete with her neighbors. Mr Mohamed said on Thursday that they will set up investors at the shores of Lake Naivasha near the geothermal power plant to cut transmission charges to make Kenya attractive. "We are going to set them up at Naivasha near the geothermal plant where power is much cheaper since it is at the source," he said. Kenya expects to set up a major industrial park in the next two years at Naivasha which will serve as the main location for textile and apparel industries. Education: Andrés Ruzo - Geothermal Educator Extraordinaire! While many are looking up at the sun for clean, renewable energy to stem the emission of greenhouse gases, one scientist has suggested looking underground instead. Geothermal energy, says National Geographic explorer, GRC Member and geothermal scientist Andrés Ruzo, 28, is another source of clean energy. "Compared to wind and solar energy resources, which are intermittent, geothermal energy is a resource that never turns off," he said. There are two types of geothermal energy systems, active and passive. Active systems are large power plants that harness heat from the Earth to produce electricity, and are often associated with volcanoes. Passive systems, on the other hand, do not require large plants. They help to conserve energy by tapping stable underground temperatures to regulate temperatures above ground. Such systems usually consist only of an indoor handling unit and a buried system of pipes, which help to conduct heat away from a building when it is hot, and vice versa when it is cold. "There is very limited research on this, but my expectation is that passive geothermal cooling systems will be a more exciting and realistic option in Singapore," he told The Straits Times while in Singapore late last year for the Green Carpet Awards - an initiative organised by Singapore's World EduCorp, a social enterprise to promote green causes. The OECD is pleased to invite you to participate in the OECD 2016 Survey on Improving the Investment Environment for Renewable Energy. This short anonymous online survey will gather private-sector views on the policy barriers and drivers shaping investment and innovation in renewable electricity technologies. The aim of this exercise is to improve policy makers’ understanding of how policy influences investment and innovation in renewable electricity technologies. The focus goes beyond policies specific to climate change and renewables (such as feed-in-tariffs and public tenders) to also address the broader domestic investment environment (e.g. financial regulations). To achieve the levels of investment necessary to meet climate change goals, strong, clear and consistent signals will be needed across the regulatory landscape. The survey will feed into the OECD project on Improving the Investment Climate to Achieve the Clean Energy Transition. We plan to email you a copy of the final OECD publications that will incorporate results from the survey. You are also invited to participate in an expert workshop that will take place on 8 June 2016 at the OECD Headquarters in Paris. Please feel free to circulate this survey to any colleagues and other industry stakeholders whose inputs might be helpful to the survey. Completing this survey will take approximately 14 minutes. The latest GEO Industry News is now available from the Geothermal Exchange Organization (GEO). The Geothermal Exchange Organization, a 501(c)(6) non-profit trade association based in Springfield, Illinois, USA advocates for the environmental, energy efficiency and economic benefits of geothermal heat pump systems for heating and cooling applications in residential, commercial, and institutional buildings in the USA. The Geothermal News Report (GNR) is a weekly podcast wrapping up the top stories in the geothermal industry. 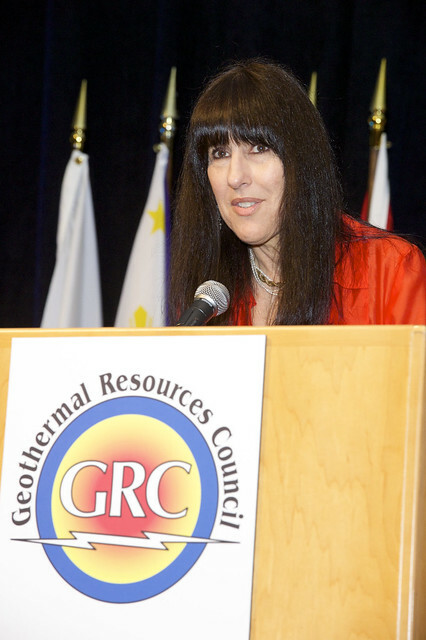 GNR presents a phone interview with GRC President -elect Maria Richards from SMU´s Geothermal Lab. We discuss the geothermal industry and the SMU Power Plays Conference 2016 in Dallas, Texas, USA. Expression of Interest (EOI) for consultancy services for a training needs assessment for geothermal drilling operations. Nordic Development Fund (NDF) is financing the project “Training in Geothermal Drilling Operations” in Kenya. The main objective of the project is to accelerate the development of Kenya’s geothermal resources by taking the already available and incoming drilling equipment to efficient use. The implementing agency, Geothermal Development Company Limited (GDC), now invites eligible consultants to indicate interest in providing consultancy services for a training needs assessment for geothermal drilling operations. The U.S. industry had about 3.7 GW of installed nameplate capacity and 2.71 GW of net capacity at the end of 2015 and brought online 70 MW at two plant expansions in Nevada. 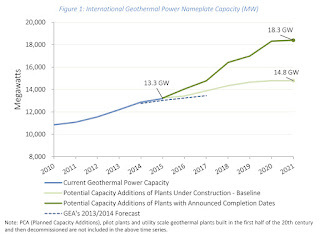 In total, the U.S. market had about 1,250 MW of geothermal power under development with about half a gigawatt stalled in Phase 3, waiting for power purchase agreements (PPAs). These are projects that could be brought online in 17-33 months or sooner with the appropriate power contracts. An independent study by the National Renewable Energy Laboratory reached a similar conclusion. Despite legislative stops and starts, a few new laws passed in 2015 could create new opportunities for geothermal companies in the US like a 100% Renewable Portfolio Standard (RPS) in Hawaii, a 50% RPS in California, and EPA’s new Clean Power Plan if states choose to use geothermal power as part of their compliance options. GEA data shows a total of 18 new geothermal power plants came online in 2015, adding about 313 MW of new capacity to electricity grids globally. The global market is at about 13.3 GW of operating capacity as of January 2016, spread across 24 countries. 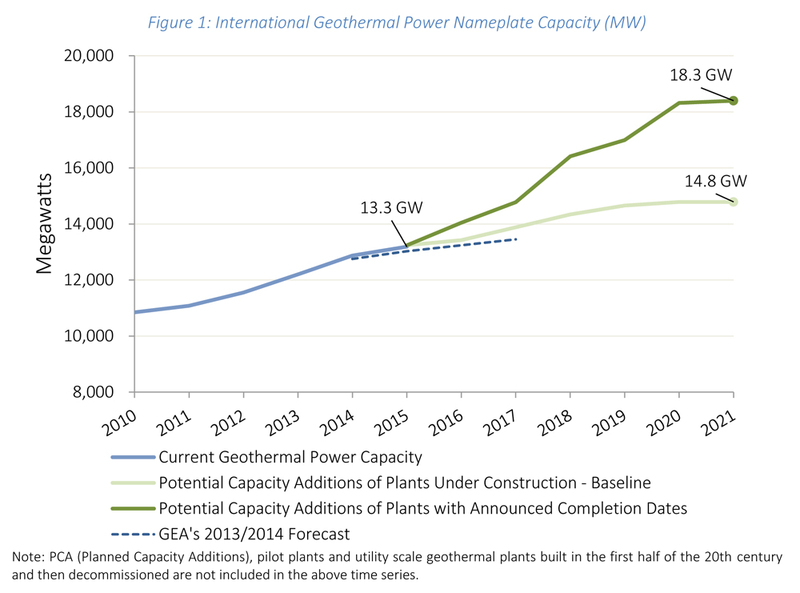 This year the global geothermal market was developing about 12.5 GW of planned capacity spread across 82 countries. Based on current data, the global geothermal industry is expected to reach about 18.4 GW by 2021. Overall, if all countries follow through on their geothermal power development goals and targets the global market could reach 32 GW by the early 2030s. Flash technologies, including double and triple flash, compose a little less than two-thirds of installed capacity globally, while dry steam is about a quarter and binary is a remaining sixth. The last remaining 1% includes back pressure and other developing and experimental types of geothermal technologies. The United Nations and IRENA pledged a five-fold growth in the installed capacity for geothermal power generation and at least two-fold growth for geothermal heating by 2030 compared to 2014 levels. Communities and governments around the world have only tapped 6 to 7 % of the total global potential for geothermal power based on current geologic knowledge and technology. There are vast untapped resources that could provide baseload renewable energy to grids across the globe. However, natural disasters, permitting delays, and trouble obtaining financing have slowed geothermal power’s growth globally. Executives of Vancouver, Canada based Alterra Power give an update on the company's business last year and plans for the future. Paul Rapp - Head of Geothermal and Wind Operations: "So both Svartsengi and Reykjanes plants performed well in 2015 and the overall production was 95.5% of plan for the year. Year to date we're 101% of plan. Highlights at the Svartsengi plant for the year included drilling of two new wells, Svartsengi 25 and 26, both of which are showing very promising indications for production. The holes were just recently completed and down haul logging and flow testing is underway in these holes and we expect at least one of these holes will be connected to the plant in 2016. There's ongoing construction at Svartsengi of a new discharge facility which will dispose of brine from the plant and this will allow for extraction of more geothermal fluid from the field and potential increase in power production from the plant as well." "Over at Reykjanes we completed just in the last few weeks the reinjection pipeline that's been under construction for a while there and this connects the plant to the previously completed RN 33 and RN 34 well area. Reinjection has commenced into those wells and will be ramped up over the next short while to provide pressure support to the Reykjanes field." John Carson - CEO: ".....we’ll also look at expansion on to our geothermal project we’ve long been discussing our Reykjanes plant and potential expansions there. There is one potential expansion the first portion of it which doesn’t involve drilling any new wells it's basically just adding on a binary power unit to the existing facility there and we’re currently working that one as well." Opening Remarks: Jack Hand, President and CEO, POWER Engineers, Inc. The Imperial Irrigation District Board of Directors approved a lease agreement with Controlled Thermal Resources today that will allow for the development of a new centralized geothermal power plant in the Salton Sea Known Geothermal Resource Area located in Southern California. Once built, the new facility is expected to produce up to 250 megawatts of renewable energy per year and has the capacity to expand operations to 375 megawatts in future phases. On-ground drilling is expected to commence by the last quarter of 2016 with the power plant expected to be operational by 2020. The development schedule for this project will coincide with California’s renewable portfolio standard requirement that 50 percent of all energy procured by utilities must be derived from renewable resources by 2030. 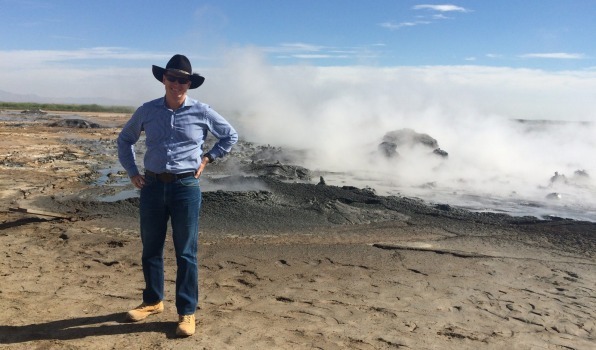 Controlled Thermal Resource’s CEO, Rod Colwell, a GRC Member, praised the action saying the agreement with the Imperial Irrigation District signals a new era for geothermal energy production in the region. “Geothermal power has the capacity to provide baseload electricity 24 hours a day, seven days a week and is fast becoming directly competitive with conventional fossil fuel plants,” Colwell said. Under the agreement, Controlled Thermal Resources will lease approximately 1,880 acres of district-owned land for as many as 50 years, assuming specific development milestones are met. In return, the district will receive rent and generation royalties. Interview with GRC Member Dr. Juliet Newson, President of the International Geothermal Association and Speaker at the Energy Efficiency & Renewable Energy (EE & RE) Conference April 5 in Sofia, Bulgaria. We are aware of a number of geothermal resource uses in Bulgaria. The town of Velingrad for example is known for its hot and cold mineral springs which are used for heating and balneology. As the temperature of geothermal wells in the country ranges between 20°C - 100°C direct use applications are most appropriate. North-East Bulgaria (Moesian plate) and South Bulgaria (Rila-Rhodopes massif) host most of the geothermal resources. Direct thermal water use in Bulgaria concentrates on balneology (largest share with 60%), space heating, air-conditioning, greenhouses, ground source heat pumps, direct thermal water supply, bottling of potable water and soft drinks and for some technological processes. 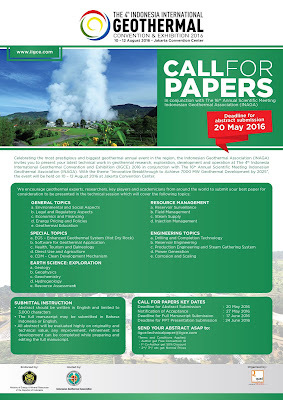 ----------------------- Geothermal Resources Council -----------------------. Awesome Inc. theme. Theme images by Airyelf. Powered by Blogger.